Many customers already have a wedding band but would like to have it engraved. We are happy to help you with this. 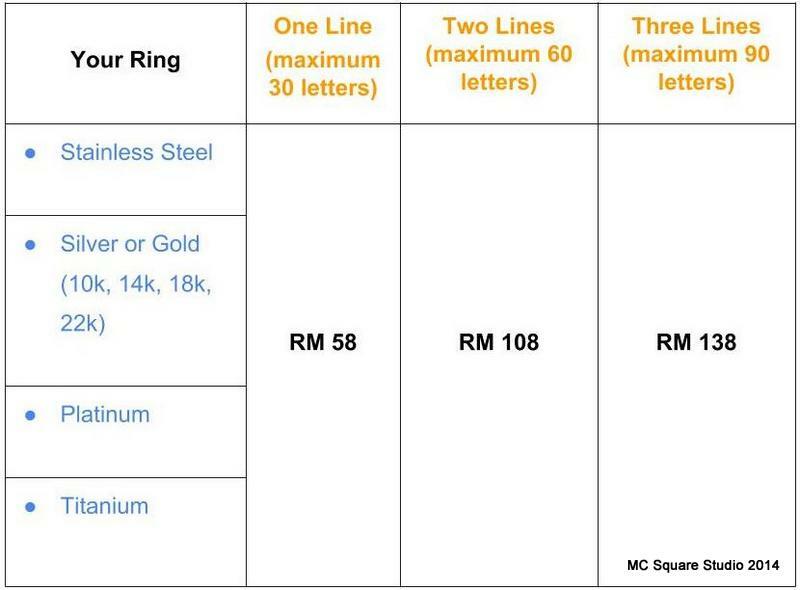 Depending on the width of your ring, we may be able to engrave up to three lines of text. The price of engraving depends on the type of ring you have and how many lines you would like engraved. 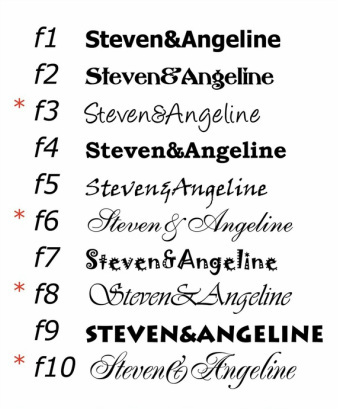 Calculate the total letter to be engrave, then find your price category. Add on RM 30 if you need us to ship back you rings. You will receive an email notification from us within 48 hours. Your ring will be ship/post back to you in 3 days time. You will receive our 3rd email with your shipment/postage tracking number. 2 mm, 3 mm and 4 mm wide rings can typically fit one line of engraving (up to 30 characters including spaces). and rings 8 mm or wider can usually fit three lines of engraving (up to 90 characters excluding spaces). Recommended minimum letters height is 0.5 mm which is visible. Please be sure to include detailed instructions in addition to return shipping information and contact information if you wish to pay via paypal email. 1) Make payment to : CIMB Bank Beneficiary Name: Materialise Creativity Beneficiary account number: 800 138 077 5 2) Fill in the form and click submit 3) Once we confirm received your payment, then we will call you in 24 hrs to confirm course date. for payment via email paypal , just indicate "NA"